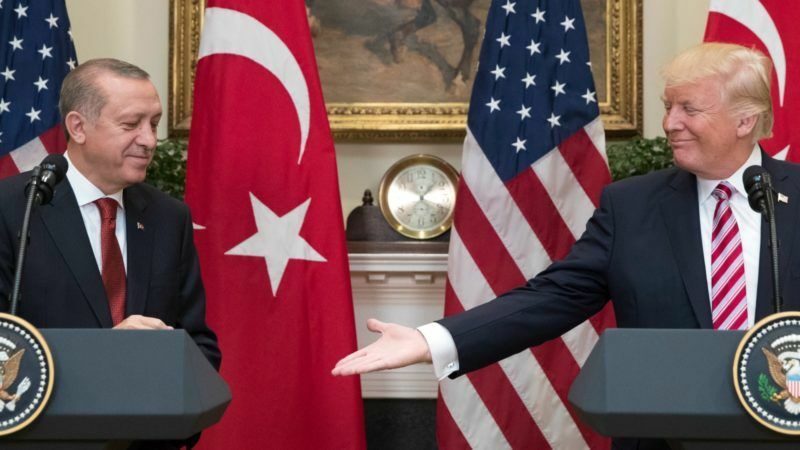 At a White House meeting, Trump lauded Erdoğan as an important ally in the “fight against terrorism” and did not mention Erdoğan’s domestic crackdown after last year’s failed coup attempt. “We’ve had a great relationship and we will make it even better,” Trump said in their joint appearance. Erdoğan said his visit would “mark a historical turn of tide” and hailed “outstanding relations” between the nations. 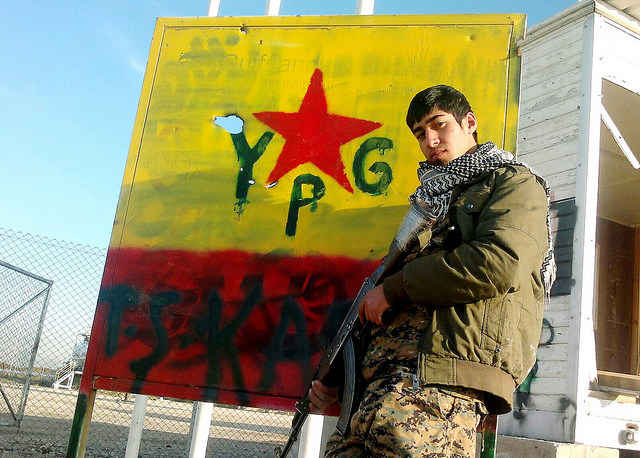 It was an especially positive tone considering the tensions over Washington’s decision to arm the Syrian Kurdish YPG militia that Ankara regards as an extension of the outlawed Kurdistan Workers Party (PKK). Fighting erupted among protesters outside the Turkish ambassador’s residence, resulting in multiple injuries and two arrests – one for aggravated assault and one for assault on a police officer, a city police spokesman said. The spokesman, officer Hugh Carew, said the origin of the melee was still under investigation. A local NBC television affiliate reported Erdoğan was inside the building at the time. The city fire department reported nine wounded were taken to a local hospital. On 9 May, US officials on 9 May disclosed Trump’s approval of plans to supply the YPG as it advances toward the Islamic State stronghold of Raqqa in Syria. Turkey has been a partner in the US-led coalition against Islamic State forces. The US alliance with Turkey has proven pivotal in the battle against Islamic State in Syria, providing the coalition with access to Turkey’s Incirlik air base to wage strikes against the militants. Erdoğan had pledged to use the White House meeting to try to get Trump to change course on the YPG. Ankara regards the YPG as an extension of the PKK, which has fought an insurgency in south-eastern Turkey since 1984 and is considered a terrorist group by the United States, Turkey and Europe. 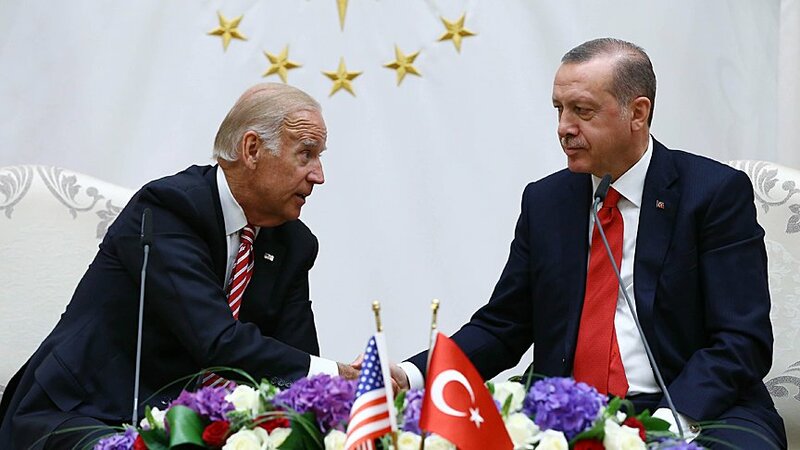 On a visit to Ankara, US Vice President Joe Biden sought yesterday (24 August) to ease tensions with Turkey which have been growing since the 15 July coup attempt. The YPG, or People’s Protection Units, effectively serves as the military of the autonomous Kurdish-led regions that emerged in northern Syria with the retreat of state authority in 2011 that accompanied the outbreak of civil war. The administration of Trump’s predecessor, Barack Obama, had criticised Erdoğan’s crackdown on the Turkish press and academia after the failed coup in July 2016. 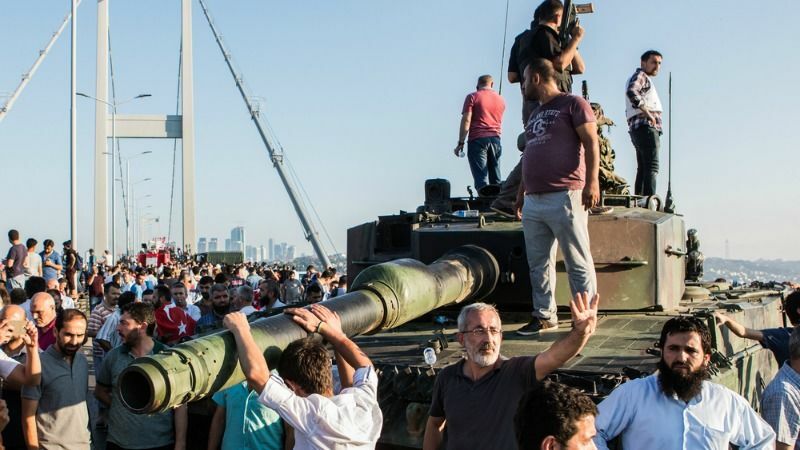 Tens of thousands of Turkish citizens have since been detained and some Erdoğan supporters sought to blame the United States for the coup attempt. On Tuesday, Trump made no mention of Erdoğan’s record on dissent and free speech. Erdoğan’s visit was further complicated by Turkey’s calls for the United States to extradite Turkish cleric Fethullah Gülen, who has lived in self-imposed exile in Pennsylvania. Erdoğan blames Gülen supporters for the attempted coup. Gülen has denied involvement. 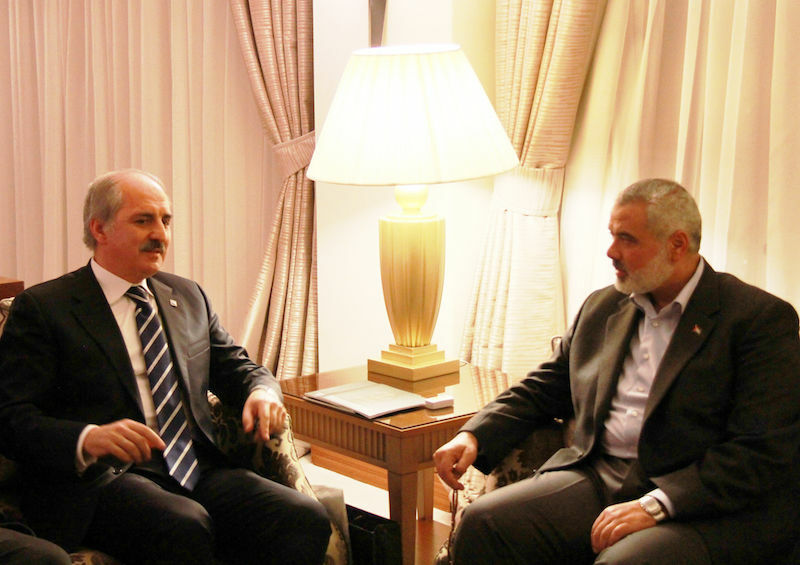 Erdoğan’s spokesman, Ibrahim Kalin, said in a statement the two leaders discussed “possible steps against FETO,” referring to what Ankara calls the “Gülenist Terror Organisation”, a term it uses to describe Gülen’s network. Kalin did not specify exactly what steps they discussed. Turkey also has raised concerns about a US criminal case against Reza Zarrab, a dual Turkish-Iranian national, arrested last year and charged with helping Iran process millions of dollar in transactions that violated US sanctions against Tehran. #Turkey said #US was behind failed coup, lambasted it for sheltering #Gulen &backing #YPG. But today #Erdogan called relations "outstanding"